Just yesterday Ryan St. Onge posted a bang-up review of the short story collection Every House Is Haunted. It’s by this guy named Ian Rogers, and if Ryan’s review doesn’t convince you that Ian is a helluva author and a really swell guy, what I’m about to tell you sure as hell will. 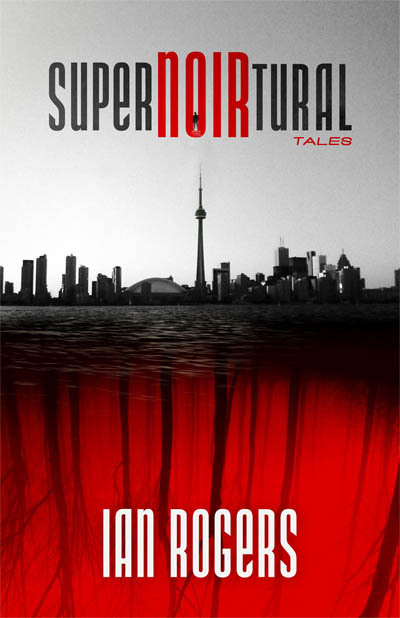 Ian’s been kind enough to offer up a signed paperback copy of his new short story collection, SuperNOIRtural Tales for one lucky reader. Only residents of North America are eligible (sorry all you folks overseas). But instead of me telling you what it’s about, I’ll let you the book blurb do the talking. I keed, of course. Anyway, here’s a little more about Ian in case you aren’t drooling yet. Ian Rogers is a writer, photographer, artist, graphic designer, and web developer. At the age of twelve, his comic strip Styx & Stone was a regular feature of the Whitby Free Press. He has written film and book reviews for print and online publications, created a film-study website that received a favourable review in Entertainment Weekly, and worked in radio broadcasting as guest co-host of Strange Days... Indeed on NewsTalk 1010 CFRB Toronto. 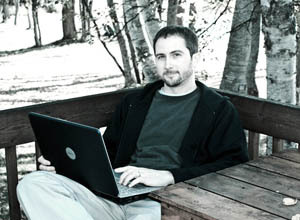 He has also worked as webmaster for the award-winning horror-fiction website Chizine.com. Ian has published stories in markets such as Cemetery Dance, On Spec, Broken Pencil, and Supernatural Tales. His stories have also appeared in several anthologies. 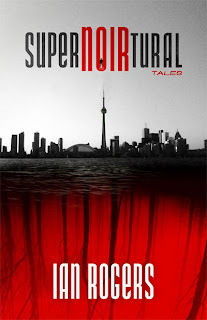 He is the author of the Felix Renn series of supernatural-noirs ("supernoirturals"), including"Temporary Monsters,""The Ash Angels," and "Black-Eyed Kids" from Burning Effigy Press. A website devoted to this series can be found at TheBlackLands.com. Ian lives with his wife, Kathryn, in Peterborough, Ontario. You can find out more information about him and his work at his website, ian-rogers.com. Piqued your interest yet? Well use that Rafflecopter widget below and sign up. Or better yet, don’t sign up. That way I can just tell them to send the book to me instead.